Colr. McKnight has called for more bungalows to be constructed in Derry. 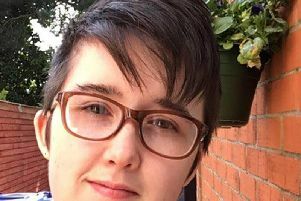 Sinn Féin Councillor Caoimhe McKnight has called for more bungalow-type accommodation to be built locally to house older people in the city. Colr. McKnight reiterated her party’s call after comments by an all-party Parliamentary Group on Housing and Care for Older People to MPs at Westminster that government policy is not delivering on the needs of the elderly in our community. She said: “This report by an all party parliamentary group which took nine months to complete, is warning that growing numbers of elderly people could be left isolated and their health adversely affected because of the family home becoming increasingly unsuitable for their needs. “I have had numbers of elderly people at my consistency office at Racecourse Road enquiring about bungalow type accommodation but there is none available. “At the moment 320 new social homes in Skeoge are under construction with another 260 in the approval stages in the Planning Committee, which will bring the total number of social homes under construction at Skeoge this year to almost 600. I welcome the building of these social homes but I have very serious concerns about the lack of provision for bungalow type accommodation. “There is a growing need for bungalow type accommodation for older members of our community and for people with disabilities. Colr. McKnight said there would also be knock-on benefits for all those on the housing waiting list of more bungalows are constructed. “Not only would the provision of more bungalow type homes provide for the needs of a growing number of elderly but it would free up many multiple bedroom homes for younger families and therefore reduce housing stress,” she said. The Department for Communities has previously said that although the development of bungalow type accommodation is not prohibited, it is more costly to develop.